Following on from our top 10 cars of day one, here are the models that wowing the second media day of the Geneva Motor Show 2016. We've saved some of the very best until last, ranging from a ridiculous Lamborghini to an eminently sensible big new Skoda. In design terms the new Boxster is about as predictable as new car launches come - yet virtually everything has changed, including the car’s fundamental character, probably. 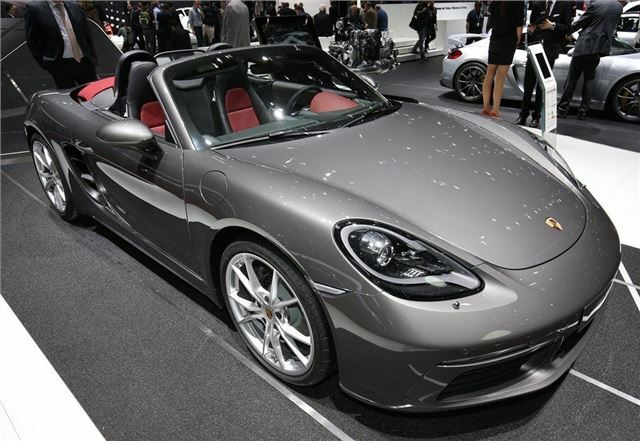 That’s because the new Boxster comes with four-cylinder turbo power now, meaning both Boxster and Boxster S will feel punchier than ever. Prices start at £42,000, with order books open now.